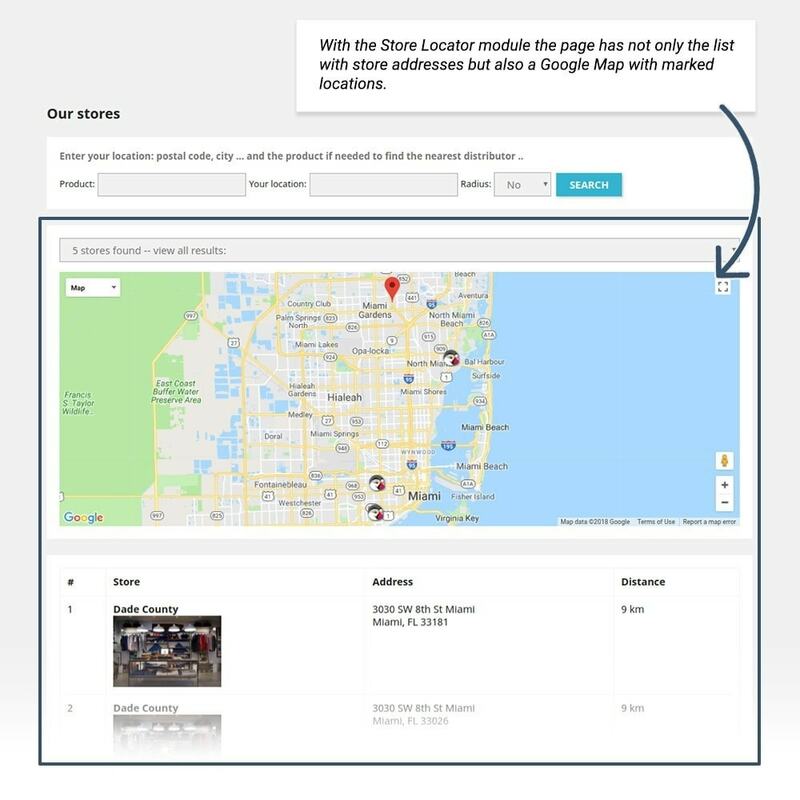 The Google Maps based store locator is embedded right into your default Our Stores page. It locates all your shops to let users find the nearest one. Customers enter the item name in Search for products field and get the information about stores with this item in stock. Map locations are being displayed in a user-friendly sliding manner. Store’s data contains working hours, address, profile picture. 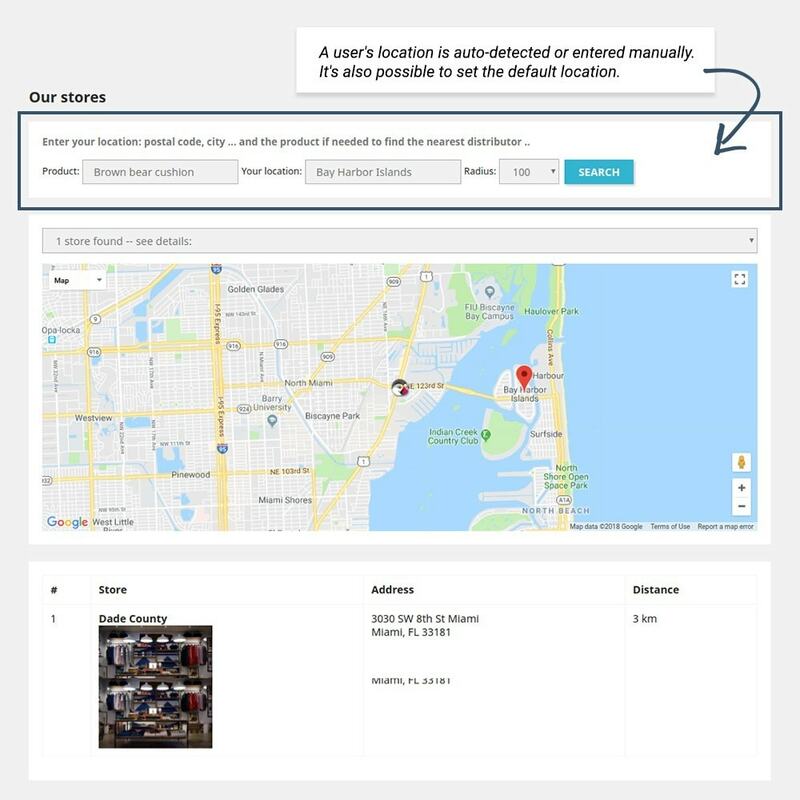 Store search by user location and products in stock. Hint text in the product search form. 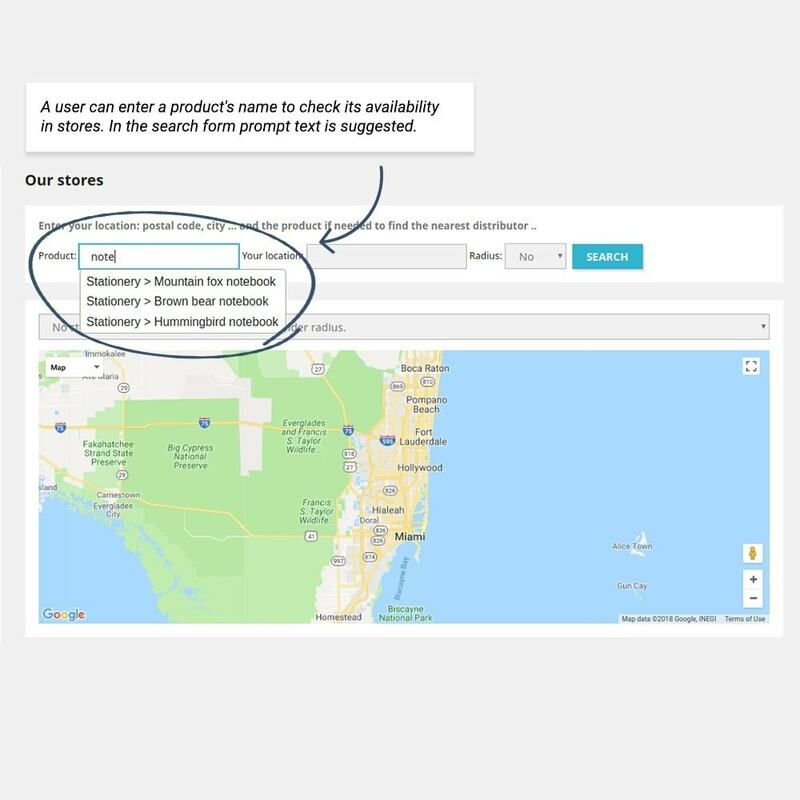 Closest stores names, addresses, and distances in search results. Possibility to upload a CSV file, where specified stores and available items. 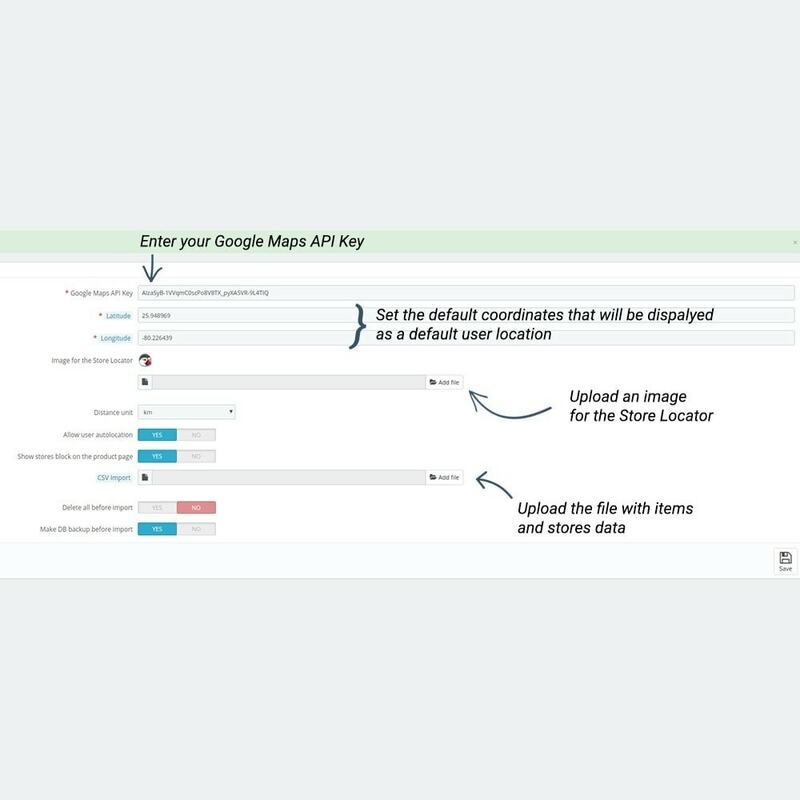 Easy connection to Google Maps via API. Il modo più efficace per rimanere in contatto con i tuoi clienti! Newsletter PopUp crea una finestra con cui si invitano i visitatori a iscriversi alla tua newsletter. Grazie a questo pop-in dall'aspetto professionale e completamente personalizzabile, puoi attirare nuovi abbonati e fidelizzarli con uno sconto sul loro prossimo acquisto. 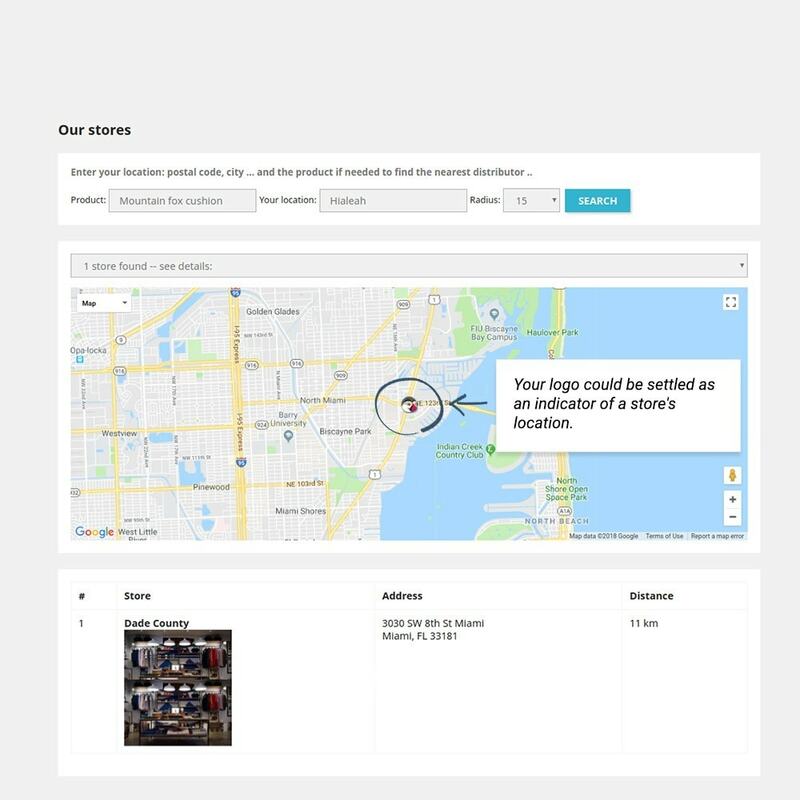 Store Locator is the great solution for retail network owners interested in pushing up sales. The module facilitates purchase saving customer’s time. 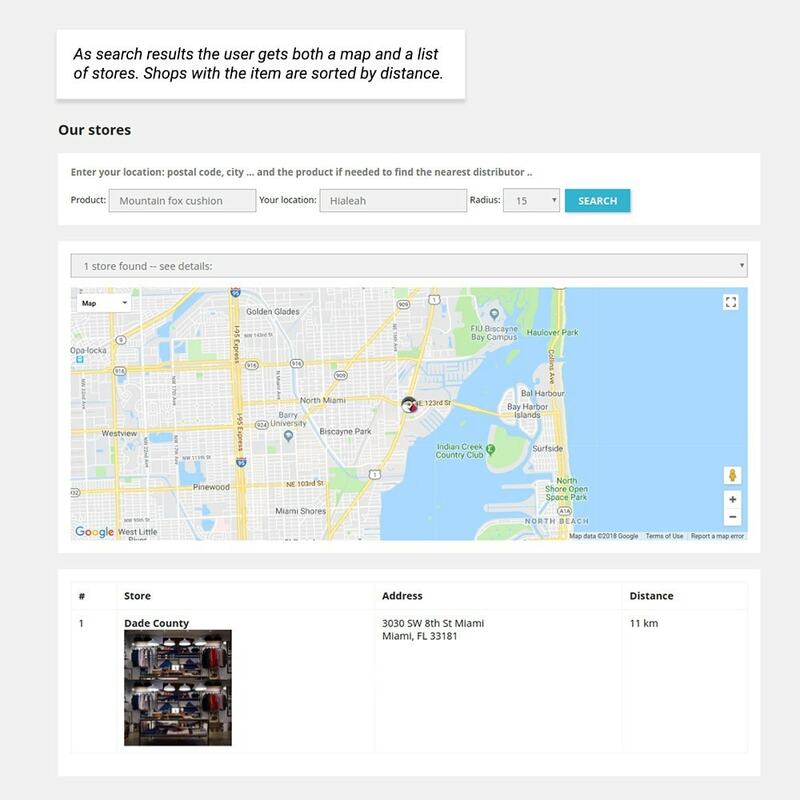 Moreover, it simplifies finding your store with the user-friendly interface. The customers are allowed to search for the nearest stores by city, radius or zip code. What is more, item availability can be shown implying if the required item is in stock at the moment.